Many consider this as Walt’s first kill (though really it was his second). It’s the first one he really has to think about and debate. After being in the basement for days, Walt and Jesse have been going back and forth deciding whether or not they should do it. In the end, Krazy-8 seals his fate for Walt by taking a piece of the broken plate. Though really, I think Walt was just using this as an excuse, a way to make the act okay in his own head. This moment is so great because it is amazing to see Walt’s power and total control, and in this moment he truly recognizes it along with others. Forcing someone else to say it, just solidifies his power for him, and announces him as the one in control. This scene has you on the edge of your seat from start to finish. As Walt pulls up to Mike we know that something is about to go down. Then when Walt asks Mike for one more thing, viewers already know the answer to that question. There was foreshadowing in the episode when Walt looks into Mike’s go bag and Mike’s gun is right on top. 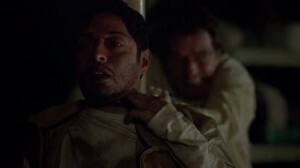 Then Walt goes up to Mike’s window and shoots him in the side! But the very best part of this scene is Mike’s last words: “Shut the F*** up and Let me die in peace”. This scene is so good because of the setup. 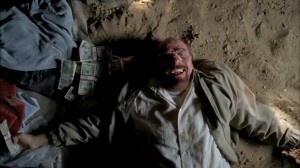 Right in the cold open of the episode we see flashes of the havoc Walt causes. Earlier in the episode we’ve already established that Tuco is insane. Then for Walt to approach him with such confidence, the audience is really waiting to see what he has up his sleeve. 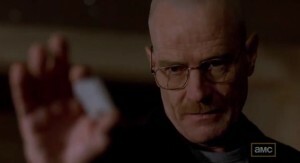 When he picks up one of the pieces of fulminated mercury and says it’s not meth, we truly see how fearless Walt is. This is what pushes Jesse over the edge and causes him to finally go through with his plan to kill the dealers using children to sell their meth. 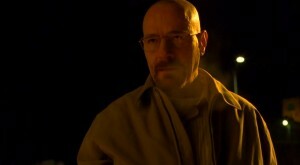 When Walt sees the report on the TV then leaves, that’s the moment we know things are really going to happen. 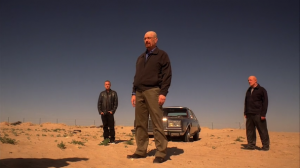 As Jesse approaches the dealers with his gun, we’re stuck wondering what exactly Walt’s part in this will be? Will he save Jesse? Then all of a sudden it happens and Walt takes one of the dealer’s gun and shoots him then tells Jesse everything he needs to know in one word: run. The entire show we’re watching as Walt not only lies to everyone he loves, but to himself as well. When he tells Skyler how selfish he has been, he finally is being true to himself. He’s no longer telling himself he did it for the family. 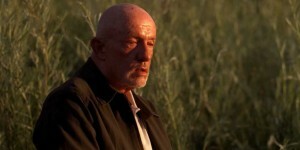 Walt asks Saul to make him disappear and the runs home to get the money. Everything is happening so fast and we as the audience already know that Walt doesn’t have enough money to make his family disappear. 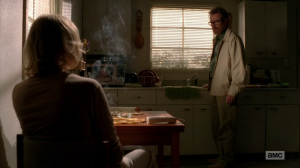 Skyler gave the money to Ted, who she had been cheating on Walt with. At this point there was so much going on in Walt’s head that he had no choice but to laugh. Laugh at this ridiculous situation that he was in. Just before this firefight Jesse was satisfied with his life knowing Walt was going to prison. That all went away after the firefight. Now his mentor/partner is giving him up to the Mafia for “questioning” (aka torture). Jesse is stillfighting though and Walt sees this so he crushes that little bit of hope left, and tells him he was there when Jane died and could have saved her. The night before, Walt had told Hank that he thought the meth cook Hank has been looking for is still out there. Skyler approaches him about this because she’s scared that whoever came for Gale might come for them. Skyler finally gets to see Heisenberg in the flesh. She confirms that Walt did, in fact, kill Gale. 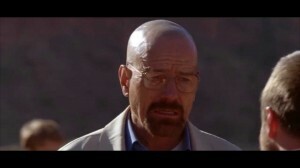 Walt proves that his ego is really taking over and let’s Skyler know that there isn’t anything to be scared of because he is the one who knocks, and he is the danger. Tread. Lightly. Who knew two words could be so powerful. Hank vs. Walt. Good vs. Evil. 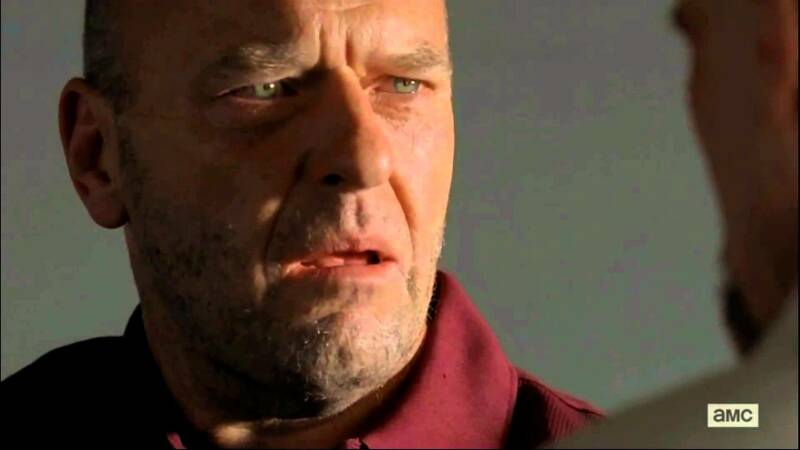 Hank finally knows what Walt is and confronts him about it. 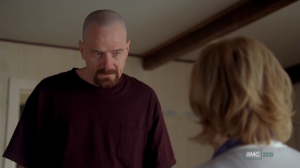 What makes this scene so powerful is that although Hank finally knows who Walt is, he still doesn’t even realize the extent of what Walt has done. “Tread lightly” means so much more than just “Watch Out” or “Be Careful.” It is Walt warning Hank that he has no idea what he’s up against.